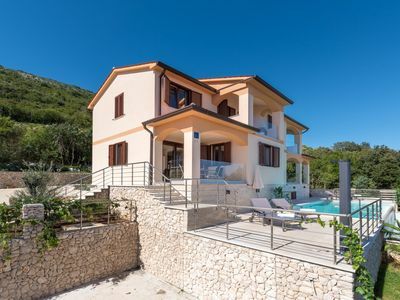 Krasica, 4 km from Buje: Rustic, comfortable country house "Villa Plac". 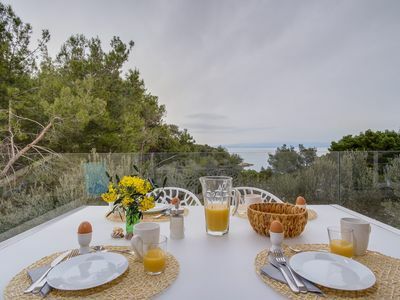 Outside the resort, in a secluded, sunny position on top of a hill, along the wooded area, 16 km from the sea, in the countryside. 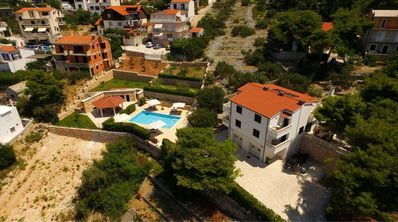 Private: property 12'000 m2, well-kept garden 3'000 m2 (fenced) with lawn, lawn for sunbathing, swimming pool (11 x 6 m, depth 125 - 170 cm, 01.05.-30.09.). 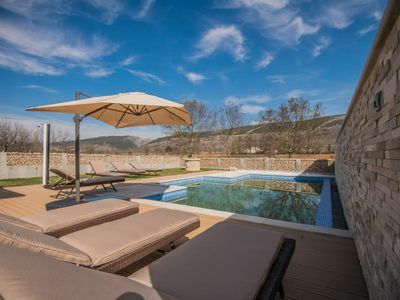 Outdoor shower, pool house with WC, arbour, garden furniture, barbecue house. In the house: internet access, washing machine. Room cleaning on request (extra). Parking at the house on the premises. 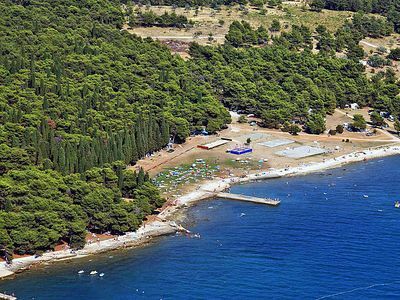 Supermarket 4 km, restaurant 500 m, pebble beach 16 km, public bathing area 16 km. Sports centre 16 km. Local sale of farm products. 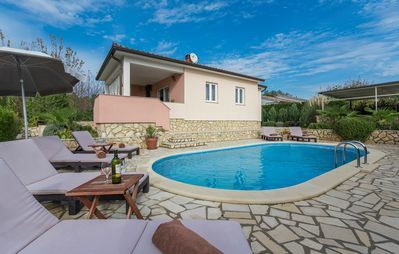 Pool house 50 m2 with kitchen (4 hotplates, oven, fridge) and large dining room. 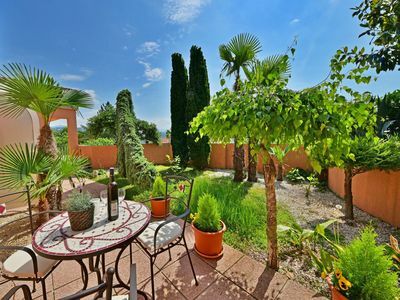 Beautiful garden with lovely view of the hilly landscape with olive groves and distant view of the sea. 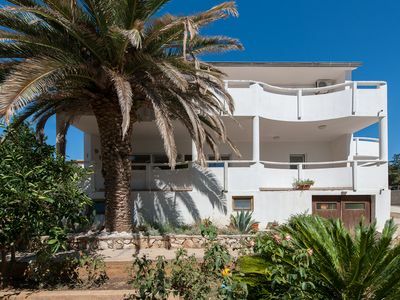 14-room farmhouse 240 m2 on 3 levels. 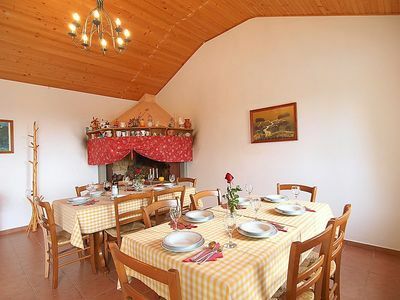 Cosy furnishings: living/dining room with kitchen corner, satellite TV and air conditioning. Exit to the garden, to the terrace, to the swimming pool. Living/dining room with kitchen corner, satellite TV and air conditioning. Exit to the garden, to the terrace, to the swimming pool. Living/dining room with kitchen corner, satellite TV and air conditioning. Exit to the garden, to the terrace. Living/dining room with satellite TV and air conditioning. Exit to the garden, to the terrace. Open kitchen (oven, 4 ceramic glass hob hotplates, electric coffee machine). 4 showers/WC. 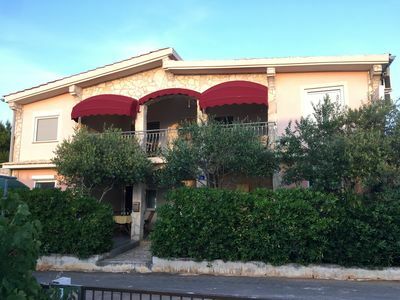 Upper floor: 4 rooms, each room with 1 french bed (160 cm, length 200 cm), air conditioning. 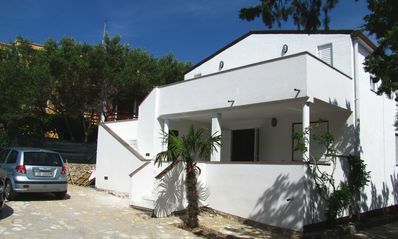 2 rooms, each room with 1 bed (140 cm, length 200 cm), air conditioning. 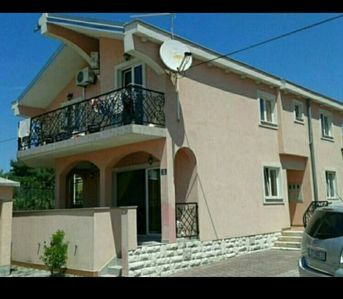 2 rooms, each room with 1 bed (90 cm, length 200 cm), air conditioning. 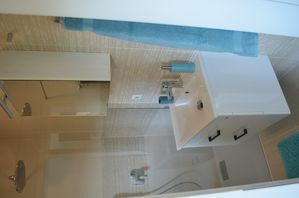 4 showers/bidet/WC. 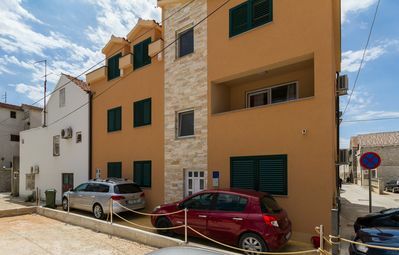 Top floor: 1 room with 1 double bed (2 x 90 cm, length 200 cm), air conditioning. 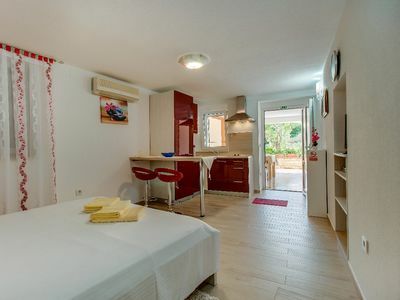 1 room with 1 french bed (160 cm, length 200 cm), air conditioning. Heating (extra). Terrace furniture, deck chairs. Marvellous panoramic view of the countryside. Facilities: logs (free). Internet (WiFi, free). Reserved parking (fenced). Suitable for families. 1 pet/ dog allowed. 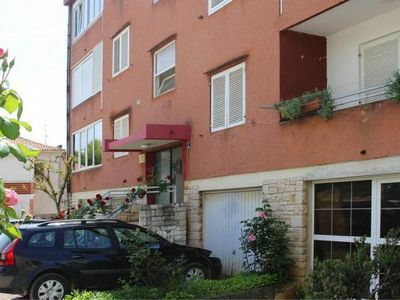 The property is composed of 4 units, each with private entrance, it's own living/dining room, kitchenette on the ground floor and bedrooms on the upper floor.